Ships today if you order in the next 5 hours 2 minutes. Maintaining healthy blood sugar levels is an important consideration for many folks. In the late afternoon, when blood sugar levels can naturally drop, it is not uncommon to feel tired and lack energy or to crave sugar. 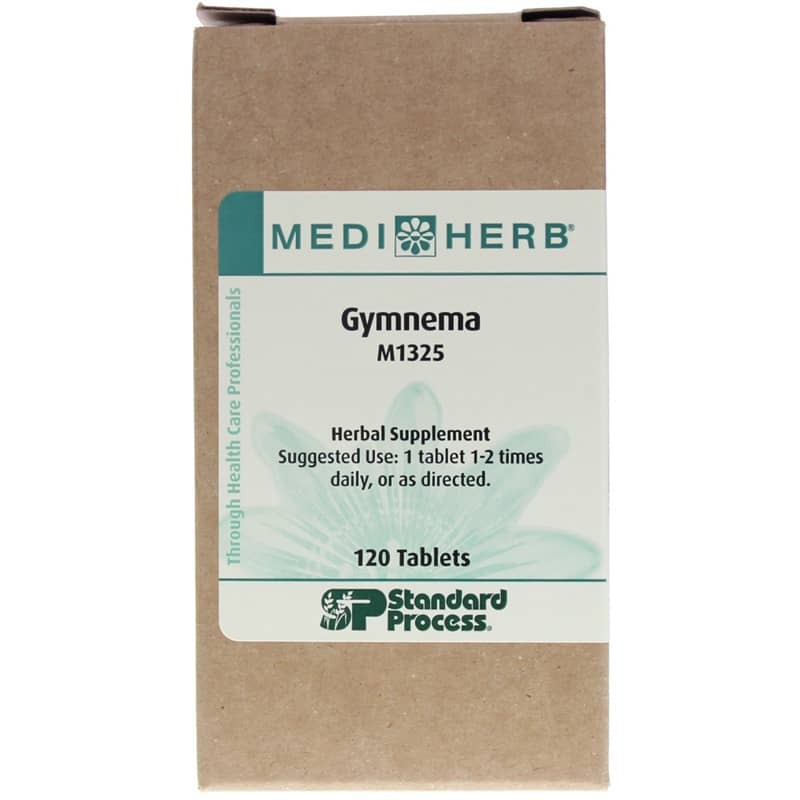 A natural product such as Gymnema by Standard Process may provide support during these times. Other Ingredients: cellulose, calcium acid phosphate, sodium starch glycolate, hypromellose, magnesium stearate and silica. 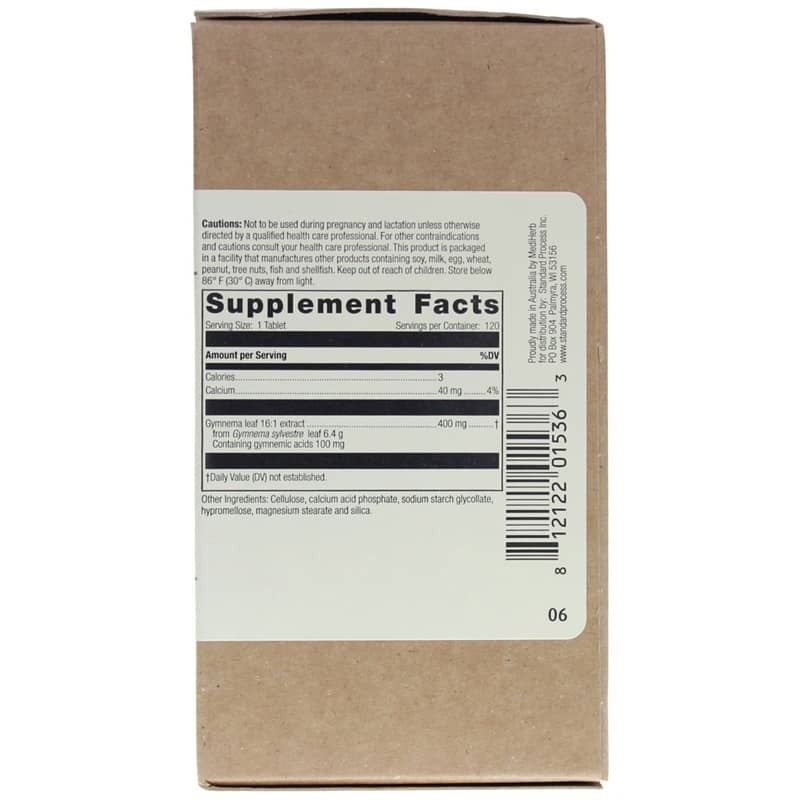 Adults: 1 tablet 1 to 2 times daily, or as directed.